Managing the unmanageable: is there a formula for creativity? It's a question that is as old as advertising itself: How does an agency put a price tag on creativity? How can you place a value on something as intangible as an idea - one that might have been conceived in a flash of inspiration but which ended up driving millions of pounds in sales for a client? 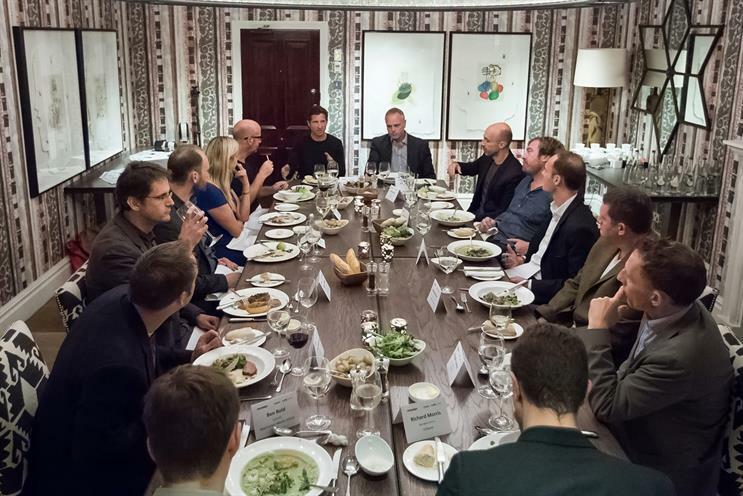 Last month, Campaign, in partnership with Deltek Traffic LIVE, hosted a roundtable dinner debate to explore this subject - creativity versus profitability. The event, which took place on 25 September in a private dining room at the Covent Garden Hotel, was attended by 11 advertising and marketing luminaries, from creative chiefs to financial and operational bosses. Proceedings were chaired by Haymarket Business Media director Alex Whitson and Tracey Shirtcliff, agency management specialist at Deltek and founder of Traffic LIVE. The debate hinged on a finding of Deltek research, which found that 69% of advertising and marketing agencies believed that a lack of time accountability was impacting negatively on profitability. For such an often contentious subject, it was unsurprising that the debate stirred up some strong opinions, with proceedings getting heated at times. The debate kicked off with a look at how agencies currently manage the relationship between creativity and how that relationship has changed over time, arguably to the detriment of the agency. Agency chief and creative Bell was adamant that a dramatic change has taken place in the relationship between agency and client. "When we set out with some of our first clients, we would be given weeks to do an ad campaign and get paid well for the time and effort put in," he said. But, he argued "those days are gone in the main – you’re given far less time to meet a brief and get paid much less because of that." Dare’s Cooper, concurred, citing a point made by a senior and respected marketer. "Advertising has become very commoditised," he said. "I was speaking to [former London 2012 marketing chief] Greg Nugent, who said: ‘The problem with advertising agencies is that they used to come and tell me the future. Now I go and tell them the future.’"
A key part of making a business commercially viable is accountability and the use of time-sheets, but it drew a mixed response from attendees. While Gilroy’s Sleap advocated their use at his agency, he added: "They don’t run our business but it’s the only way that we know we’re making money." Emperor’s James added: "We use time- sheets to inform the way we work with a client going forward - we probably have 90% of people filling in time-sheets every week and they are about 80% accurate." But Bell insisted that time was not always on an agency’s side. "Sometimes a good idea can come quickly and then you would use the time to get it in a form that’s presentable," he said. "But sometimes you do need more time for the idea to come." Meanwhile, DigitasLBi’s Clarke admitted that - while time-sheets "in our agency came from a part of the business that was founded on technology", in particular on the idea of coders sitting down to write code - putting a price on and timing creativity was problematic. "I think when you start applying that to something a bit more mercurial, it’s challenging." he said. Traffic LIVE’s Shirtcliff agreed, insisting that time-sheets are a necessary evil, so the best approach to ensuring that agencies stuck to them was making the process as painless as possible. "I think the secret to great technology and helping to enable an agency with its processes and how you work is about making it simple and working the way that you work," Shirtcliff said. "So if you’re not going to record time, then no matter how good you make a calendar and easy to do a timesheet, it’s not going to help you. If you are, then it’s about making it really simple." Of course, if time were completely unmanaged then an agency’s profitability would suffer significantly. Effective time management should inform the creative process, without dominating it. It was a point highlighted by Adam & Eve/ DDB’s Forsyth. "It’s all about control," he said. "The debate revolves around buying enough time. There are lots of examples of buying yourself enough time. This could be literally [as in]’we’ll buy more time in terms of fee arrangements and different models. "But the ultimate approach is to earn enough time by coming up with an idea very quickly. If you come up with an idea for a client very quickly, they love it. They will then give you all the time that you need to develop and craft it." The dinner drew a consensus that better and more collaboration is key to improving client relationships. Iris’s Baylis argued that "it’s up to [new business/account handlers] to get you the best conditions and then get out of the way. The creative director is there to judge the value of his talent and make it work for the client." Another solution is treating different projects according to their creative needs, Proximity’s Moran argued. "The biggest thing that we’ve recognised is that there are different types of creative brief," he said. "Some need to be cherry-picked and given more time. How do you do that in a big, one-size-fits- all creative department? You can’t. So what we’ve done at Proximity is put a department within the creative department that turns round smart- paced work." Ultimately, what came out of the debate was that there is a need for agencies and clients to forge stronger working relationships. "It’s our job to make sure that we understand [creatives’] processes and product well enough to value the work," Wildman said. "If we don’t understand them, we can’t go out to clients and give them the right value."